The overarching Topic in Summer Term Two 2016 is ‘Splish, Splash, Splosh’. Pupils will investigate floating and sinking using a range of objects. Pupils will make and test words and develop their understanding of ‘in’, ‘on’ and ‘under’. Pupils will then investigate adding weights to sink boats and play fun fishing games in water. At the start of the term pupils will make flags and participate in a tea party to celebrate the Queen’s birthday. During Topic pupils will be choosing colourful resources (glitter, fancy sand, sequins etc.) to make their own snow globe bottle art. They will also make salad spinner patterns, art work in the style of Jackson Pollock, marble with ink and use recycled bottles in various shapes and sizes to squeeze when creating. During Creative Arts pupils will participate in Dentist role play sessions. There will be opportunities for pupils to work on their teeth brushing techniques too. Pupils will learn a road safety action song and participate in role play and real life road safety sessions e.g. using the zebra crossing at the top of Richmond Hill, to develop their road safety awareness. During Computing, pupils will focus on developing their mouse skills. Sandwiches will be the focus during Cookery, and each week pupils will make and taste a new filling e.g. cheese and tomato, houmous and cucumber, turkey and coleslaw. Our Literacy text for the term is ‘Splosh!’ by Mick Inkpen. Speaking skill sessions will focus on learning signs for character names, using symbols to accompany the text, using less familiar props and acting out the story. Listening skills sessions will focus on asking and answering questions. Reading skills sessions will focus on key noises generated in the story and rhyme. Pupils will also be sequencing pictures to retell the story. Pupils will use symbols to label pictures and focus on writing their own names on pictures of themselves during writing skills sessions. During number sessions in Maths, pupils will work on their number writing skills and number: object correspondence. Some pupils will move on to addition and subtraction. Shape, position and direction will be the focus during Geometry. Length and capacity will be our foci to cover measurement objectives for the term. Hopefully, pupils will be able to visit ‘Splash and Play’ in Leighton Buzzard on a school visit, and Whipsnade Zoo, later in the term too. In Summer Term One 2016 our overarching topic will be ‘Down on the Farm’. Pupils will use fresh eggs to make a range of omelettes in Cookery, the filling will be varied each week e.g. sausage and tomato or cheese and onion. Hopefully, we will visit Mead Open Farm and Woodside Animal Farm to gain real life experience with animals. 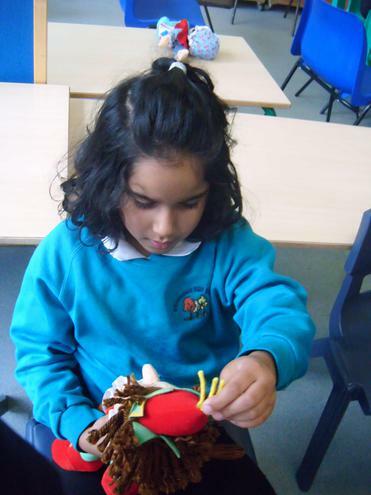 During our Science session’s pupils will make models of animals, explore the sounds and movements animals make and learn about the attributes each animal has. Adult animals and their baby animal young will be linked too. Pupils will use pincer tweezers to handle small art and craft materials to make their own animals in order to encourage fine motor skill development during Topic sessions. In Maths pupils will use Numicon to develop their understanding of number and some pupils will move on to estimation. Pupils will also learn about money in the role play farm shop and temperature during Measurement sessions. In Geometry pupils will explore position and direction and the properties of shape. Our Literacy text for the term is ‘Hippo has a Hat’ by Julia Donaldson. 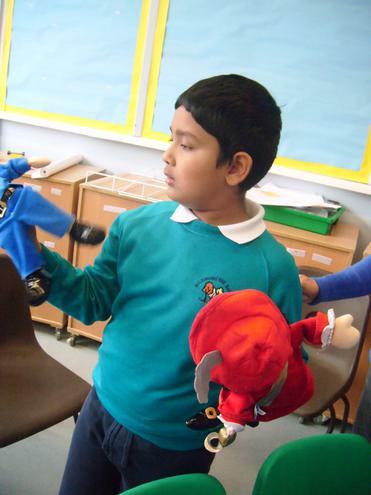 To encourage speaking skills pupils will comment about the characters, plan a party and take part in role play. During listening skills development session’s pupils will take turns responding to stimuli and the characters and people in the text. Story comprehension and letter sounds will be the focus during Reading skills sessions. Patterns, letter shapes and clothing design will form our focus during writing sessions. During Expressive Arts with explore a range of farm animals during ‘farm yard fantasy’. Camille Saint-Saens ‘The Carnival of the Animals’ will be our musical inspiration. Pupils will also participate in Sherborne Development Movement and Intensive Interaction sessions. ‘Leave your Mark’ is our Topic for Spring Term Two 2016. During Science pupils will develop their junk modelling skills to help make ‘The Green Queen’. During Creative Arts blue class will create their own blue class rap and use the Soundbeam equipment to explore rhythm and rhyme. Computing will provide opportunities to work on their mark making linked to discrete p level objectives. All pupils will work on their expressive and receptive communication skills during Cookery whilst making scones. In the final week pupils will make chocolate egg nests for Easter. During Maths pupils will be encouraged to join in with number rhymes during Number lessons, Position, direction and properties of shape will be the focus during Geometry. Time and Money will be the focus during Measure sessions. paired sessions, pupils will be encouraged to develop their communication skills using approaches such as Intensive Interaction. During Science pupils will use papier mache techniques to create their own ‘blue balloon’ to gain first-hand experience of changing states and the properties of materials. Our Computing unit will be ‘Watching Video’s’. All pupils will have the opportunity to make individual videos of their own performances. using the pictures, actions and plot as a stimulus. Pupils will move on to developing their awareness of letters and sounds. During writing lessons pupils will engage with patterns and shape formations from the story. In more formal sessions pupils will develop their skills at over writing, copy writing and early letter formation skills. Maths will largely be taught as a stand-alone subject. Pupils will continue to work on place value, counting and early number skills during differentiated sessions. Numicon will be used where appropriate, for pupils to start to gain an understanding of early addition and subtraction. The properties of shape and position and direction will be the focus during Geometry. In terms of measurement, pupils will experience and start to use vocabulary around length and weight. Our Cookery lessons will tie in with objectives from the Geometry p levels. All children will develop their skills at making bread. The recipe will be varied slightly each week, and they will have the opportunity to taste their bread during snack time. During Autumn Term Two 2015 the overarching Topic is ‘Whizz Bang’. There will be many opportunities to develop skills of scientific enquiry and understanding of physical processes. Bonfire Night and Guy Fawke’s will provide opportunities to explore safety around fire and candles. Pupils will make divas, mendhi candles and explore patterns in conjunction with the Hindu story of Diwali. Pupils will make their own fireworks using a range of exciting resources e.g. bicarbonate of soda and vinegar! A multi-sensory approach will be adopted as pupils create and respond to ‘light’ activities i.e. mixing coloured sand, rice and pasta. Opportunities to classify, understand and label using the opposite terms ‘light’ and ‘dark’ will be exploited. Using the equipment in the light sensory room and the overhead projector, pupils will create their own shadows and silhouettes. 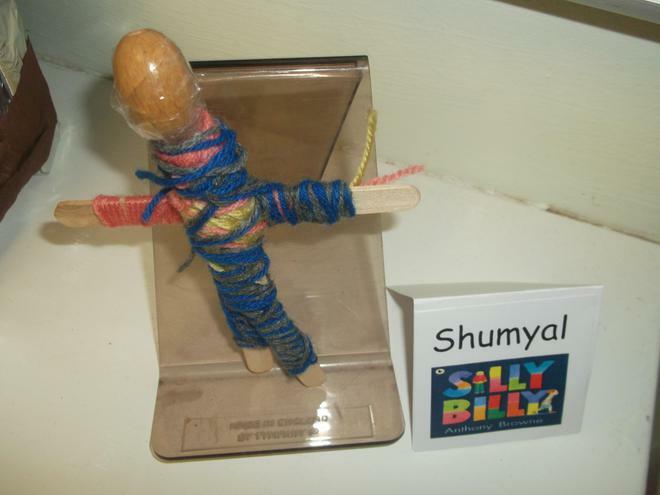 To mark the Jewish festival of Hanukah, pupils will handle a menorah during the festival of light. Christmas gives rise to the Christmas story and seasonal light and dark art and craft activities. 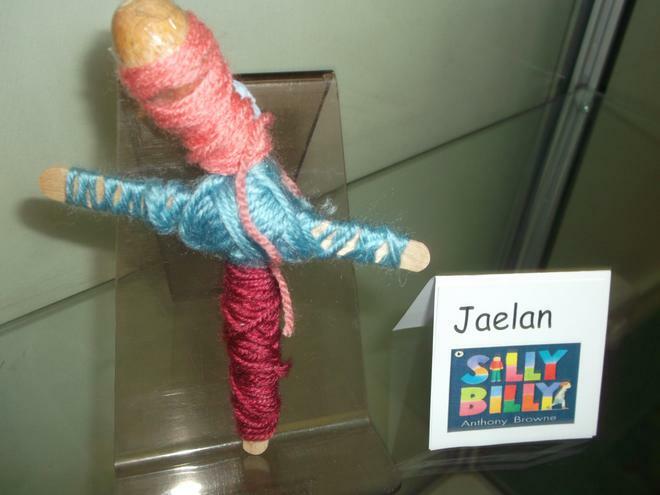 Our traditional tale Jack and the Beanstalk will be our key text during Literacy this term. Expressive communication skills will be developed as pupils label pictures with symbols and make ‘I see …’ picture exchange communication system (PECS) sentences. Pupils will listen to a simple version of the story and a sing song action version of the story and will be encouraged to express their views, join in with the actions and ask and answer questions. 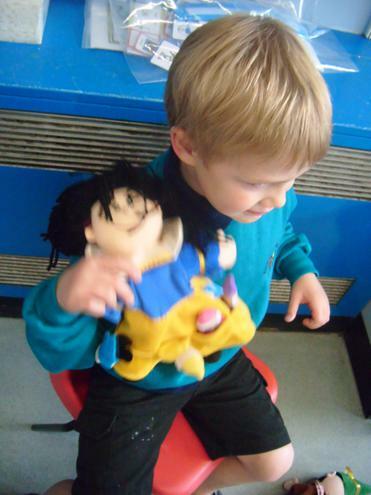 Receptive communication skills will be developed as pupils are encouraged to use words, signs and symbols to communicate about things they can hear related to the story. Pupils will explore sounds linked to the text as they develop their reading skills. 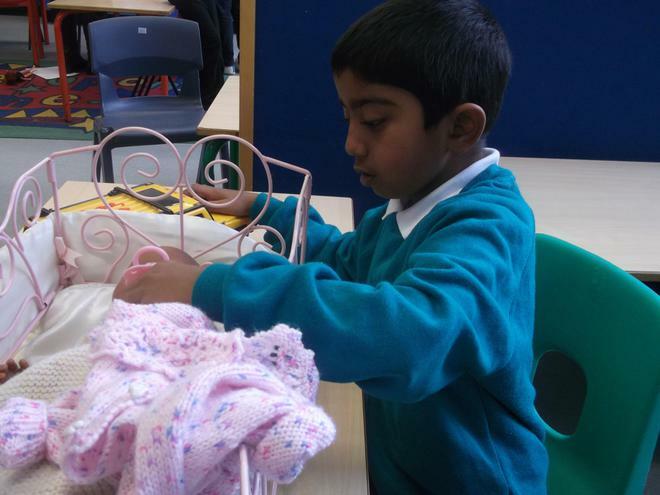 The opposing concepts of ‘up’ and ‘down’ will be investigated during beanstalk making activities. Pupils will be encouraged to correctly sequence the story and say key phrases e.g. ‘fe, fi, fo, fum, I smell the blood of and Englishman!’. During writing skill development sessions pupils will label pictures from the text with key words e.g. hen, Jack, house, mum, giant, harp, egg, and cow. Pupils will use photographs for ‘now’ and ‘next’ and sequence ‘first, ‘next’ and ‘finally’. In Cookery pupils will be making cupcakes. Pupils will have opportunities to follow visually demonstrated instructions with a partner to incorporate turn taking. Pupils will develop their cooking skills as they pour, mix, spoon and twist off lids. Natural links with number, geometry and speaking and listening skills will occur during the making of sponge cupcakes. In Maths pupils will be encouraged to sing and join in with the actions during number rhymes and number finger songs. Pupils will also use dice during number games. Properties of shape, position and direction will be the focus of geometry sessions. Time and money will be the focus during Measurement sessions. In Computing pupils will primarily be completing activities related to the touchscreen unit of work. Pupils will design and create images of their own faces and the faces of their peers, participate in Diwali and fireworks related activities, turn the pages to the talking story ‘Jack and the Beanstalk’ and take part in Hanukah and Christmas story Computing touch screen activities. 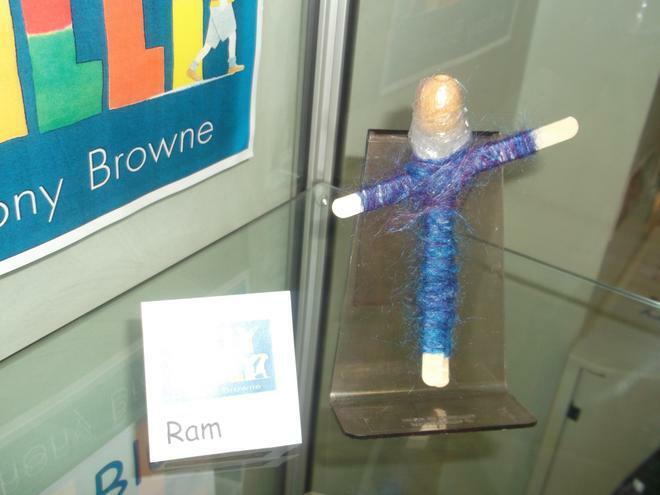 Our overarching Topic in Autumn Term One 2015 is ‘All About Me’. Pupils will be learning about themselves through ‘The Seven Senses’ (vestibular, proprioception, touch, taste, smell, hearing and sight). In relation to the scientific strand Physical Processes, pupils will be actively moving objects and themselves using the swings, slides and roundabouts and exploring the terms ‘push’ and ‘pull’ inside the classroom and around the school. Pupils will make, identify and start to recall sounds. Pupils will explore light, dark and silhouettes. The Materials area of the Science curriculum will involve using and exploring a range of contrasting materials and fabrics, playing with and manipulating play dough and describing materials using the senses. The Life Processes strand will provide opportunities for pupils to recognise similarities between themselves and others; categorise tastes and respond to music based on personal opinion. Using the senses to smell and identify a range of scents and herbs will form part of Scientific Enquiry. 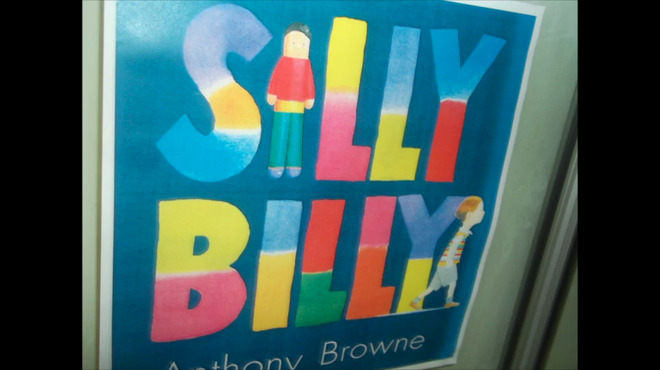 Our Literacy text for the term ahead is ‘Silly Billy’ by Anthony Browne’. Pupils will be making displays using elements of the story as a stimulus of character and prop exploration. Expressive communication skills will be the focus for development as pupils make choices and respond to activities designed to engage e.g. exploring and making rain. 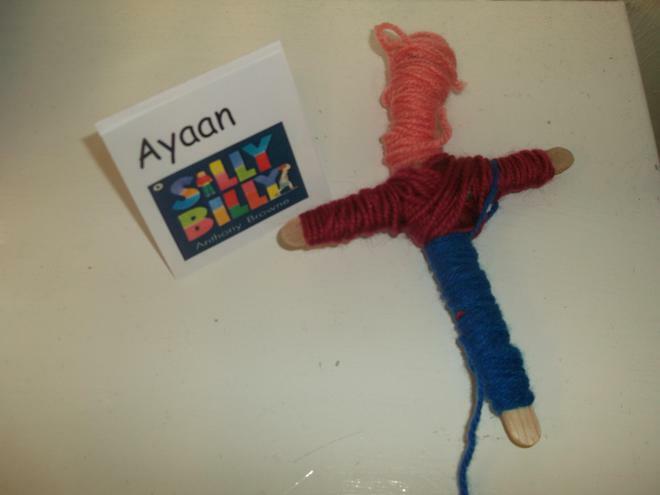 Reading skills will be developed as pupils identify characters and items in the story. Early reading skills will be developed through matching, picture recognition and symbol recognition activities. Writing skills will be developed through drawing, colouring, and making lines and circles to contribute to group created pieces of work. In Maths, pupils will engage in action rhymes and number rhymes and make sets of specific amounts. Pupils will learn about numerals and contrasting quantities linked to objects and pictures from the overarching topic. During Geometry pupils will explore position, direction and opposites. Pupils will respond to contrasting smells and tastes and handle a range of 3D shapes. During Measurement sessions pupils will explore ‘push’ and ‘pull’ as well as ‘heavy’ and ‘light’. Forging links with our topic, pupils will feel contrasting ‘hot’ and ‘cold’ temperatures. Using sand and water to learn about capacity will involve pouring activities and observation of the flow of water as well as exploration of the concepts ‘more’ and ‘less’ for some pupils. Our Computing unit for the term is ‘Games’. Specific Computing skills will be taught and developed throughout the module. In Cookery, pupils will be developing their practical application of Literacy and Maths skills to make a range of biscuits. 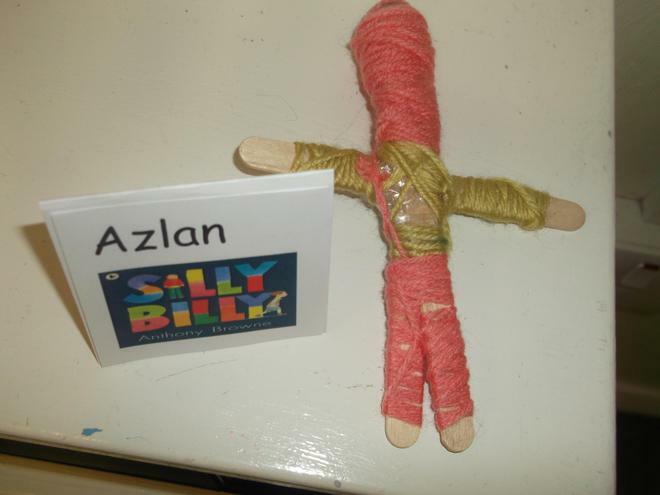 Our Creative Arts project will encompass imaginative play, drama, and designing and making dolls and puppets. 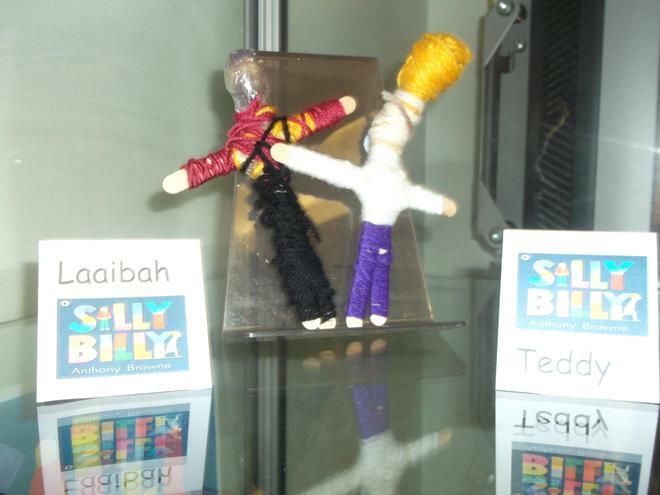 Utilising ICT, pupils will create a story board leading to a production and presentation. During PSHE pupils will learn about teeth, dental care and the sequence required to successfully brush teeth.